The author present detailed solutions to 81 of the 202 problems in J. Polchinski's two-volume textbook 'String Theory', the most comprehensive text addressing the discoveries of the superstring revolutions of the early to mid 1990's, which mark the beginnings of modern string theory. This course will introduce string theory, which has become the dominant framework for a complete theory of all physical phenomena. As such it is in some sense a course to introduce the modern view of particle physics at its most fundamental level. 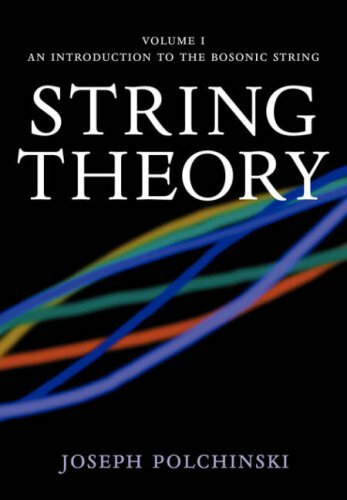 These notes give an introduction to string theory for students and interested researches. No previous knowledge of string theory is assumed. The focus is on gravitational aspects and we explain how gravity is described in string theory. Introduction to tachyon condensation in Witten's cubic bosonic open string field theory. We use both the low-energy Yang-Mills description and the language of string field theory to explain the problem of tachyon condensation on unstable D-branes. These lecture notes provide a detailed introduction to the bosonic string and conformal field theory. The text is aimed at beginning graduate students. It assumes a working knowledge of quantum field theory and general relativity.